During the first 2 billion years or so of the Earth’s existence, its atmosphere contained nitrogen, carbon dioxide and few other gases, but no oxygen. Only microorganisms capable of anaerobic metabolisms could survive under the conditions; interestingly, microorganisms were the only life on the earth for most of its history. 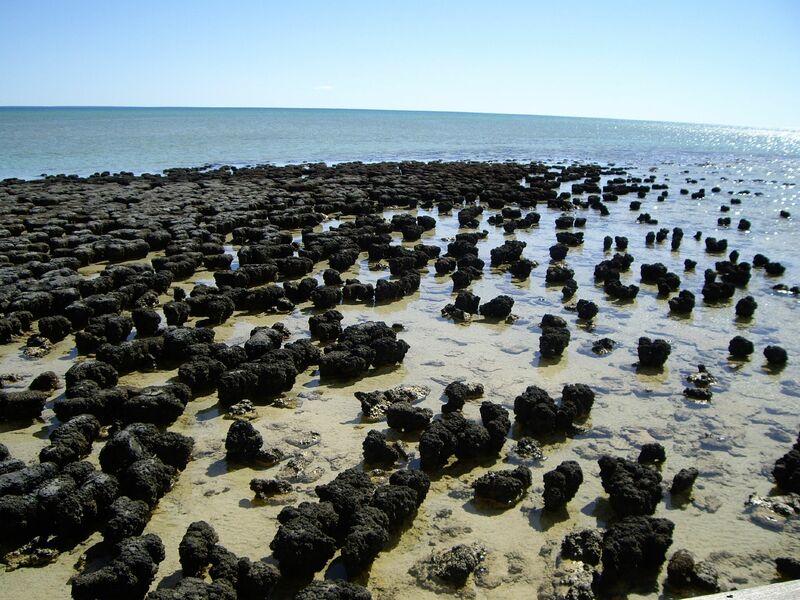 Microfossil evidences in the form of stromatolites (layers of filamentous prokaryotes) strongly suggest that microbial life was present within at least 1 billion years of the formation of earth and probably somewhat after. When microbial life appeared some 3.8 – 3 .9 billion years ago, earth presented it with new opportunities and challenges. As microbial metabolisms and physiologies evolved in response, microbial activities changed the primitive earth in significant ways to yield the biosphere we see today. In the absence of light, a category of microorganisms called chemolithotrophs, chemoautotrophs or lithoauthotrophs (or rock eaters), play the role of primary producers to make energy available in the ecosystem. These microorganisms use inorganic compounds as their energy source (instead of light) and carbon dioxide as their carbon source. On the H2S-rich and oxygen-poor early planet, a small but significant portion of the Earth’s water may have been synthesized biochemically through this pathway. 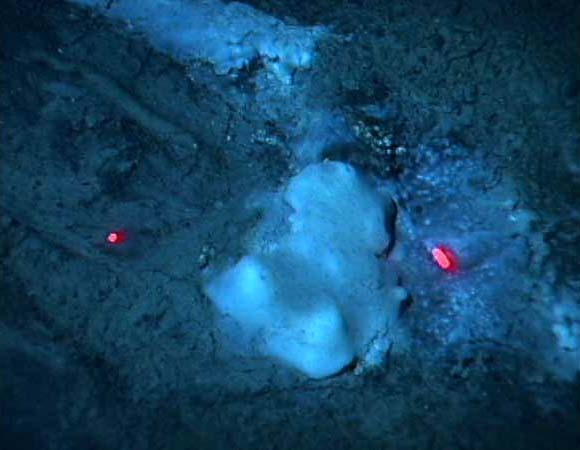 Today, Chemolithotrophs are still important, particularly around deep sea vents and deep caves which are thought to characterize the primitive earth. Another group of microorganisms called Endoliths operates over 1km deep within rocks – shales, granites and basalts. They are helped by chemicals reactions and radioactivity which splits water to produce hydrogen while dissolved carbon dioxide serves as carbon source. Endoliths are currently the focus of interest by ecologist hoping to find forms of life on Mars. These organisms are largely anaerobic and hence could thrive in the primitive Earth. The emergence of phototrophic microorganisms – organisms that harvest energy form sunlight – occurred within a billion years of the formation of Earth. The first phototrophs were relatively simple ones, such as purple bacteria and other anoxygenic (non-oxygen evolving) phototrophs, which are still widespread in anoxic habitats today.